Organic Grass Fed Butter not only taste better, but it's better for your health. Healthy Conjugated Linoleic Acid (CLA) from the grass-fed butter has higher Omega 3 which help raise the levels of good cholesterol HDL. It has significantly more anti-inflammatory Omega-3 fats and significantly fewer inflammatory Omega-6 fats. Grass-fed has much more vitamin K2 for heart health and bone health. Learn how our Canadian local supplier Fromagerie L'Ancêtre treats their cow and explain how they are grass fed and humanely raised. MCT Oil is an extract of Coconut and Palm Oil. Medium-Chain Triglycerides is a form of saturated fatty acids, which are digested easily. They have a thermogenic effect and the ability to positively alter your metabolism. They also have the capability to combat harmful bacteria, viruses, fungi and parasites, not to mention they also contain antioxidant properties. Organic Coffee beans produce the cleanest form of caffeine. Caffeine blocks an inhibitory neurotransmitter in the brain, which leads to a stimulant effect. This improves energy levels, mood and various aspects of cognitive function. Also, several studies show that caffeine can boost the metabolic rate by 3-11%. Caffeine can increase adrenaline levels and release fatty acids from the fat tissues. It also leads to significant improvements in physical performance. We only use fresh local roasted beans to make our Butter Coffee. Why Athletes from beginners to Professionals use Butter Coffee as part of their Recovery? CLA (conjugated linoleic acid), found in grass-fed butter, has been shown to reduce body fat mass. Pro Athletes use Butter Coffee to help cut down their fat percentage during game time. Caffeine and MCT Oil, the combination of quick-hitting caffeine and long-lasting energy translates to enhanced alertness and performance. 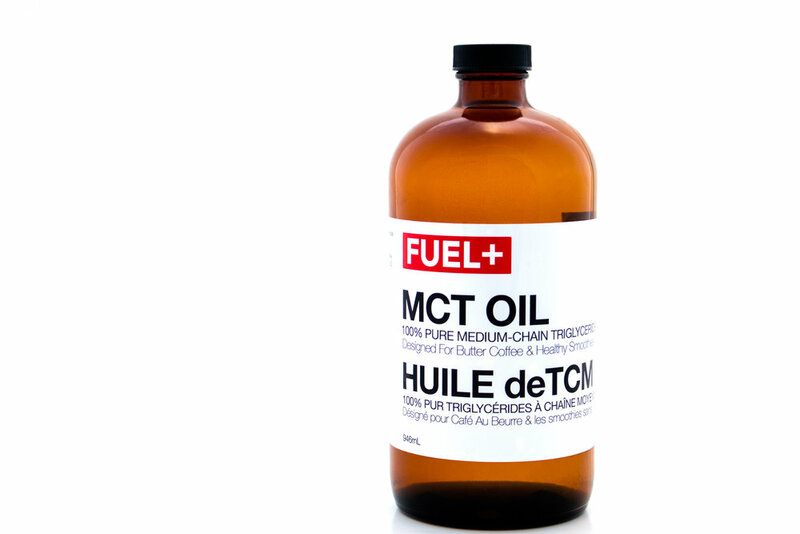 MCT oil is processed by the body could make you feel an energy boost more quickly. Many people take your body into ketogenesis to help shred fat and get the result from their workout. Butter Coffee is your perfect High Healthy Fat, Low Carbohydrate Coffee. Butter Coffee provides healthy fats for your brain and body to create cell walls (membranes) and hormones. The fatty acid has been linked to preventing neurodegenerative diseases, increased energy expenditure, and is also anti-inflammatory. Butter Coffee makes the perfect recovery drink. If you are in the cycle of Intermittent fasting to help with your overall result, Butter Coffee help you settle your stomach and shave the hunger cravings by keeping you full. Healthy Fat produce help produce more natural growth hormone in your body to help with overall recovery. When is the best time to have Butter Coffee? Depending on your schedule, a lot of our customers prefer Butter Coffee first time in the morning. They find it helps them with awareness in the morning as well as getting their energy started. 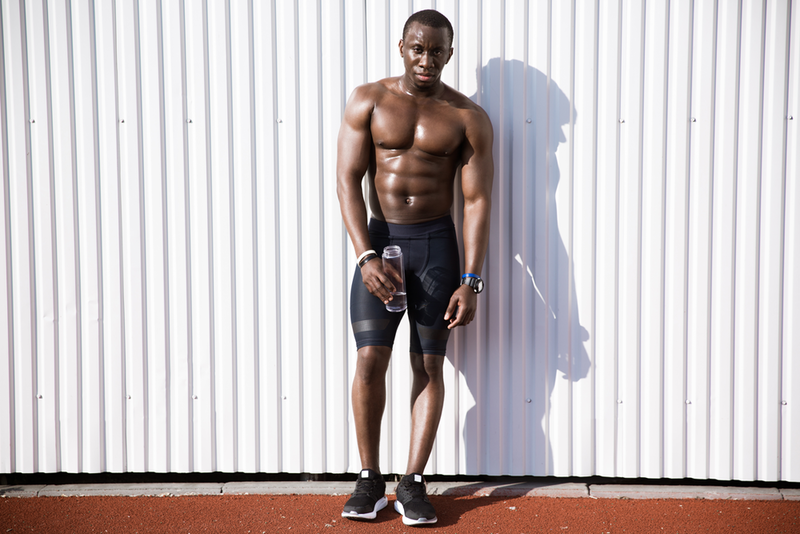 Many of our professional athletes and personal trainers also use one as a recovery drink, within one hour after their workout. (Known as the golden hour). Many customers also use it while on Intermittent fasting. If that's you, fit it within your eating hours. Need more Protein in your diet? Are you in the middle of a gaining cycle? 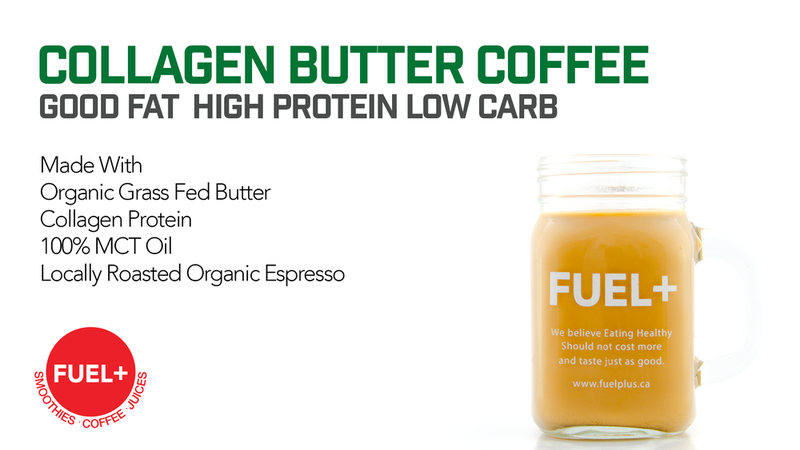 If you are working out intensely and looking to supplyment your Healthy Protein intake, Collagen Butter Coffee is the gold standard to High Fat, High Protein but Low Carbohydrate Recovery Drink. Collagen is the vital building block of our bodies including skin, hair, nails, bones, and joints. Not close to one of our locations or just simply want to make it at home. Watch this video (excuse the audio as it was our first attempt) and learn how to make it step by step. We also sell Organic Grass-Fed Butter, 100% MCT Oil and Organic Locally roasted Coffee Beans in store.